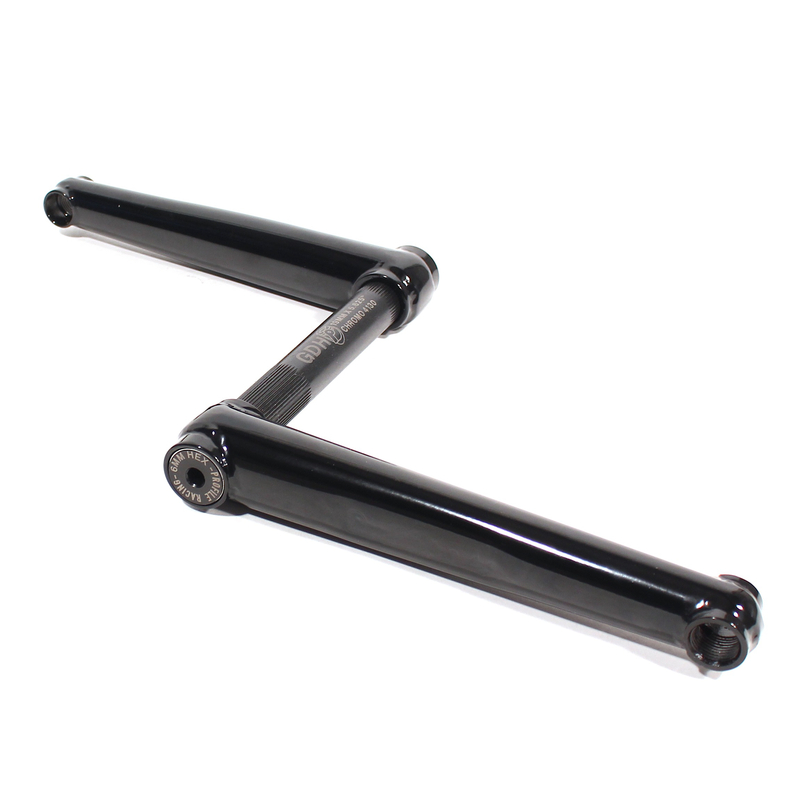 -Profile No Boss cranks are exactly the same as our Race Cranks, with the sole exception that they lack a boss to bolt a sprocket onto them. They require you to run a Spline Drive Sprocket or Spider. They can be used for left or right hand drive. -Crankset includes crank arms, 19mm GDH heat-treated CrMo axle, GDH crank bolts, flush washers, and crank installation/removal tool. Titanium upgrades available for axle and axle bolts.